Independent developer Wyrmbyte has today announced a series of new updates to its multiplayer online battle area (MOBA) game Dragons and Titans on Facebook. The free-to-play title sees players becoming a dragon rider, and now offers an expanded storyline, with a new act of story quests to complete in a solo experience. This new story arc is called Act 4: The Titan’s Hand. In it, players will learn of the Titan’s Pact, which has ensured that neither Astaroth nor Hyperion could rule the world indefinitely. However, one mortal has discovered the power to undo the pact, the Titan’s Hand, and gamers will need to uncover the truth before it’s too late. Completing Act 4 gives players an Autodrake Dragon as a reward. Elsewhere, Wyrmbyte has made significant improvements to the game’s queue times by tweaking matches to allow duplicate dragons and weapons. Now, users can play with their exact choice of items, rather than being forced to wait for a free spot, or change their minds. In addition, match rewards have been increased from three crystals per minute to four. This results in an average 30 percent more rewards per individual match, so users are better rewarded for their time spent in the game and can now purchase new weapons and dragons even faster than before. Rounding out this update is the new dragon, Netherdrake, and a new weapon, Skyripper: The Blade That Should Not Be. Netherdrake’s skills include the ability to drain enemy health and mana, as well as teleportation over short distances. Skyripper, meanwhile, can trigger large Nether explosions in the sky, damaging everything in a nearby radius. It can also be used to open a gate to the Nether and summon Nether Imps into the world. 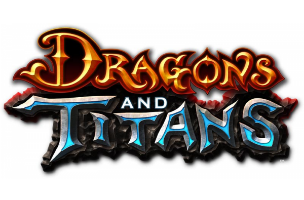 Dragons and Titans is available to play for free on Facebook. It’s also available to download via Steam.